You can redeem points Mondays through Thursdays at any of our participating British Columbia golf courses. Tee times can be booked in advance¹ by phone or online. Upon arrival at the golf shop for your booked round, simply present your GolfBC Card. Have not used your card in the past 24 months? As part of the terms & conditions, inactive cards are deactivated after 2 years. If you wish to look into the status of your card please contact us at [email protected]. An associate will be happy to look into your account. Protect your card! Be sure to register your card online, or email your name, address and card # to [email protected]. *Black-Out Periods - There is NO redemption on Fridays, Saturdays, Sundays and Holidays. Reduced points are not available for twilight times. Points cannot be redeemed toward group or tournament booking. 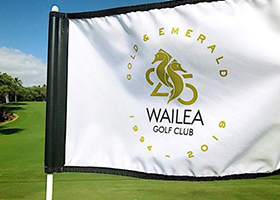 **Note: there is no redemption at Wailea Golf Club or the Crystal Lodge. Due to a change in ownership, Furry Creek is no longer part of the GolfBC Rewards program effective October 11, 2017. ¹Advance tee time booking windows vary by course. Tee times at Mayfair Lakes can be booked up to 13 days in advance. All other GolfBC courses in BC can be booked in advance up to the end of the current golf season. Redemption schedule is subject to change without notice.